Former world light-heavyweight champion Nathan Cleverly's proposed return to the ring has been scuppered by a back injury just days before the Welshman was due to make his cruiserweight debut. The 26-year-old former World Boxing Organisation belt-holder was due to step into the ring at London 2012's Copper Box Arena on Saturday to fight Daniel Ammann for the vacant Commonwealth cruiserweight title. 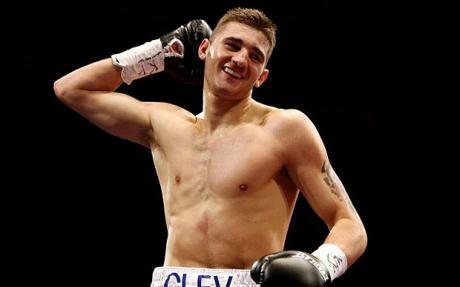 But the fight has now been shelved because of Cleverly's back injury, although he hopes to fight again early in the new year. "It is a bitter blow as training had been going so well and I was looking forward to making my debut at cruiserweight," said Cleverly, who lost his world title in August. "For it to only happen a week before the fight is even more devastating. I just want to get this year out of the way and enter 2014 with a clean slate and get my career back on track."